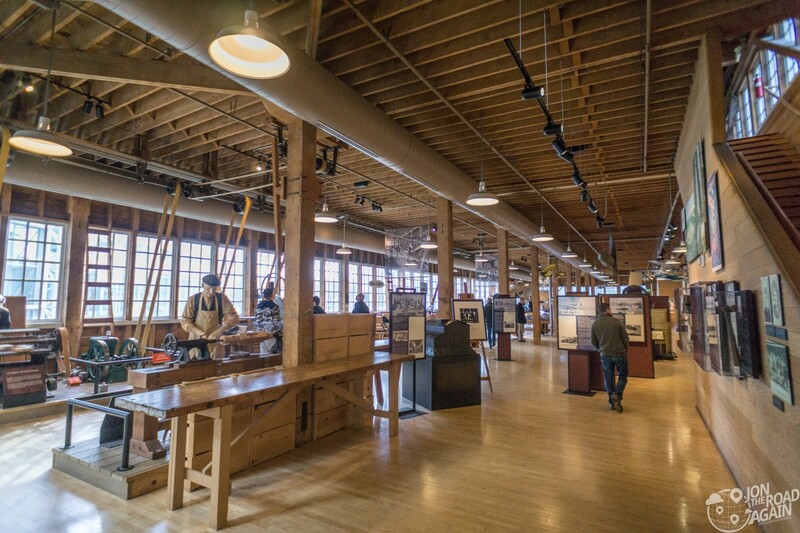 Seattle is hashtag blessed to have so many incredible museums within a short drive. 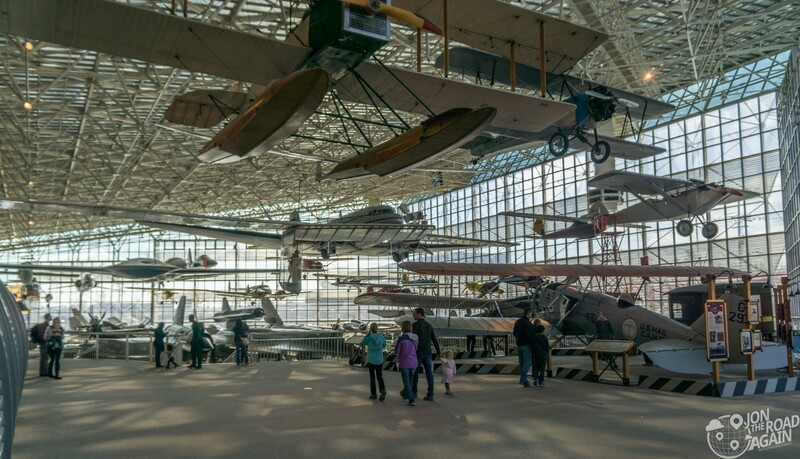 One of my favorites is The Museum of Flight. It’s Veteran’s Day weekend and the 100 year anniversary of the World War I Armistice. So pin on your poppy and look at some of the tech that won the war. Immediately beyond the ticket desk is the impressive great gallery. 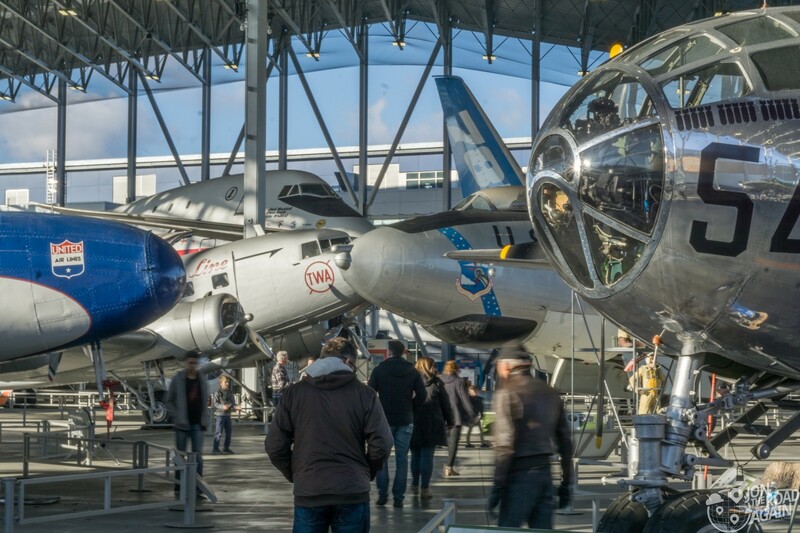 You’ve got everything from early gliders to the latest drones grouped together under a glass-enclosed atrium. Each one of these planes has a history that could take up an entire week’s worth of blog posts, but I’ll just focus on a few that I love. 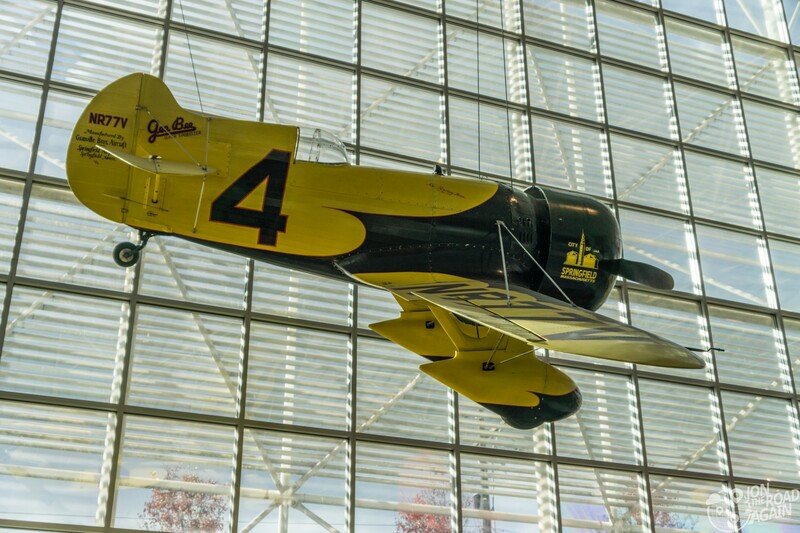 This GEE BEE Model Z Super Sportster is a reproduction, one that was used in the movie The Rocketeer. I had an original Rocketeer movie poster on my wall when I was a kid, which is why this plane speaks to me. The next eye-catcher is the Lockheed M-21 Blackbird. 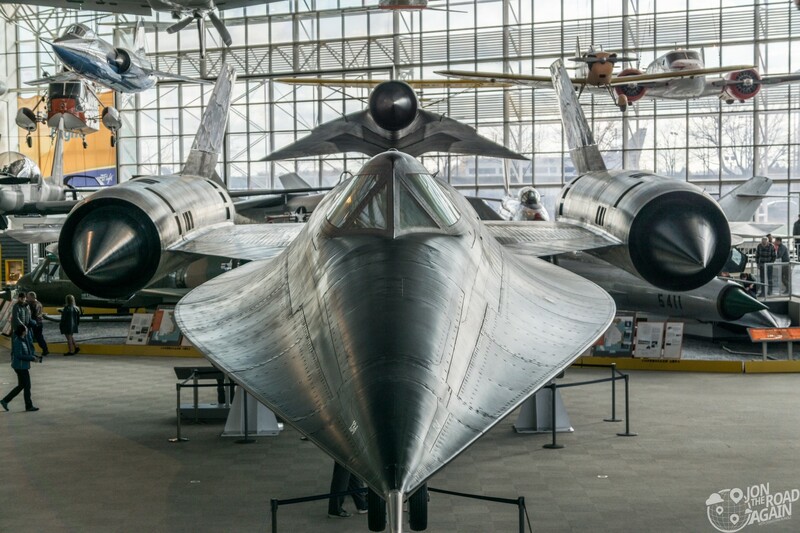 The Blackbirds are known as the world’s fastest airplane (above Mach 3) and have been the source of many aviation legends (the ultimate ground speed check is a classic). This one is from 1963 but still looks like it is from 2099. Speaking of the 60s, let’s go back to a time when the world cared about space exploration. 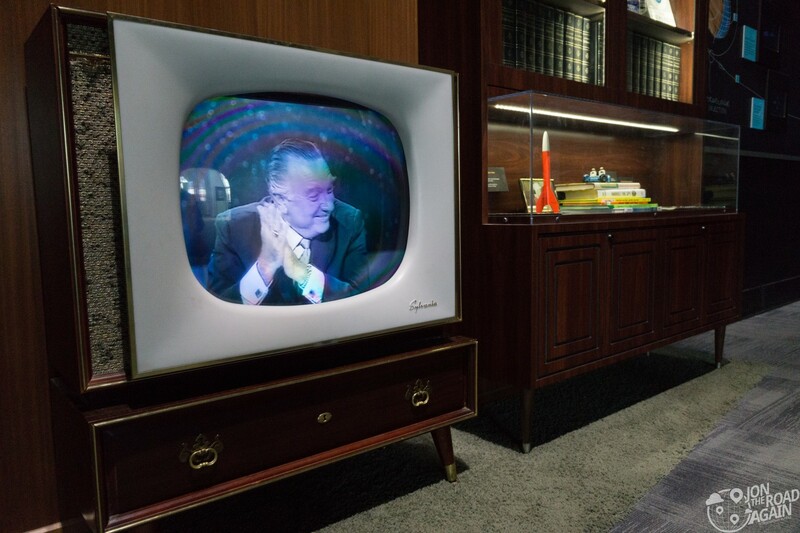 The Apollo gallery showcases the run-up to reaching the moon plus the people, tool and technology that got us there. I haven’t seen this much cool space stuff since I visited Cape Canaveral. There are a number of really great pieces in this gallery. 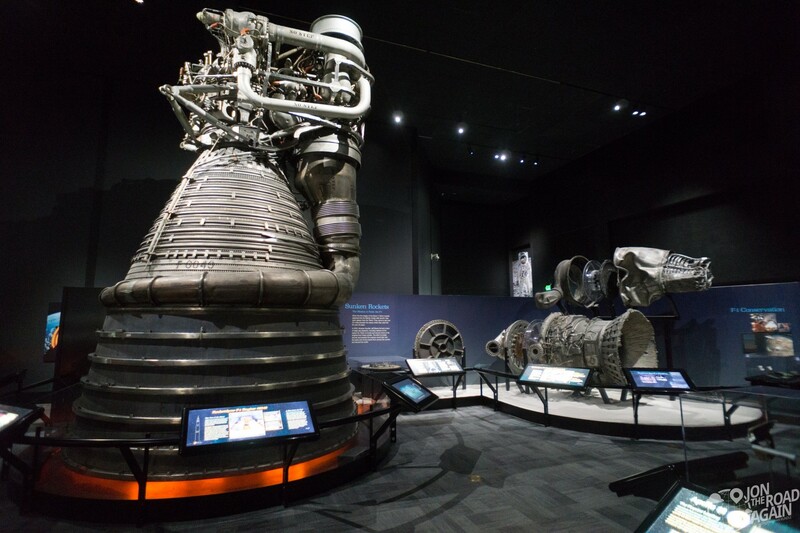 Starting with the Rocketdyne F1 engines used on the monstrous Saturn V rockets that took us to the moon. To the right of the vertically prepared F1 are rockets that were recovered from the bottom of the ocean by Jeff Bezos in 2012. These components are from the Apollo 12 and 16 missions. Bezos has also recovered and is currently restoring rockets from Apollo 11. 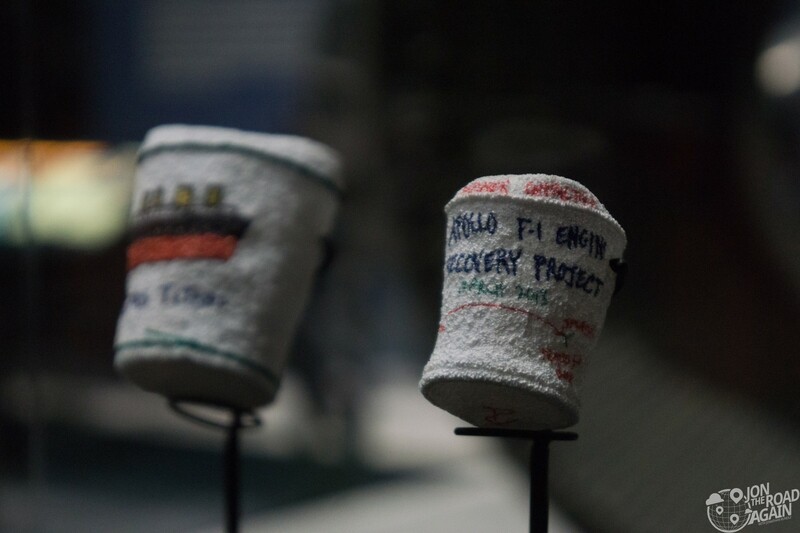 The engine recovery team used these foam cups to show how high the pressures are at the bottom of the ocean. The cup in the foreground illustrates the pressure at 14,000 feet underwater where these engines were recovered. The cup in the background illustrates the pressure at 12,500 feet, the depth at which this same team explored the wreckage of the Titanic. 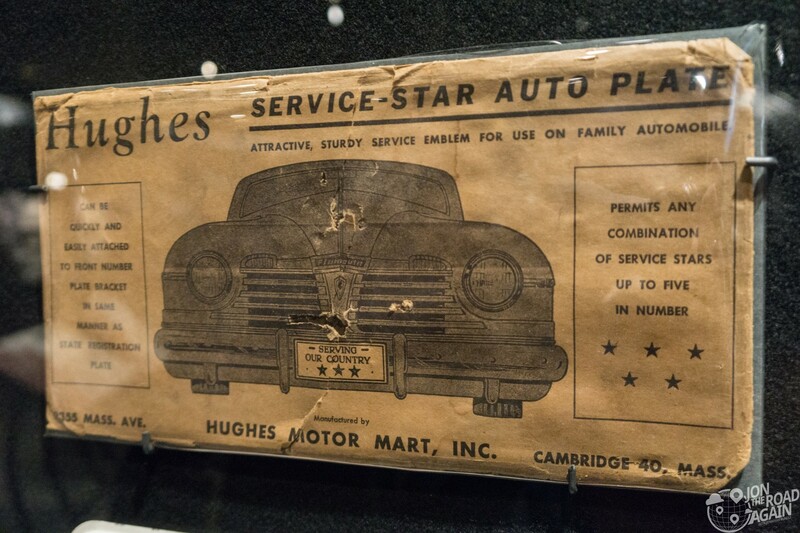 Nothing says “America” quite like landing a car on the moon. 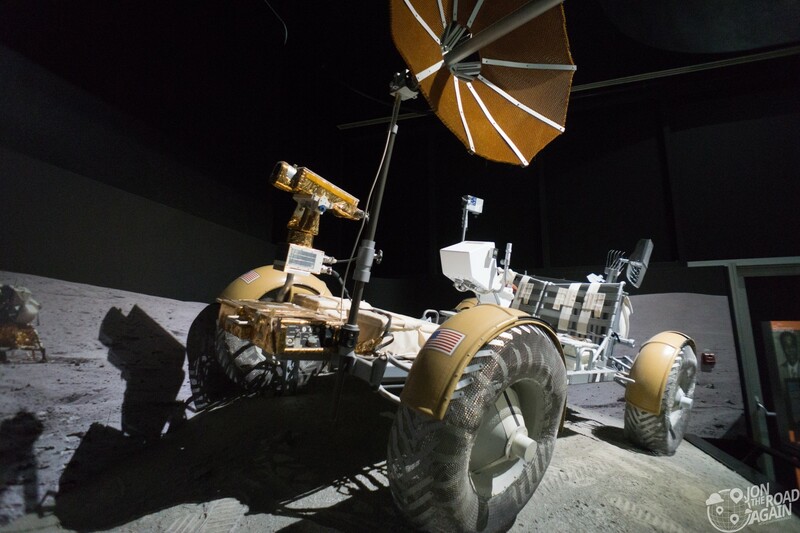 This Boeing Lunar Rover is an engineering mock-up. None of the rovers on the moon came back – they’re there to stay. 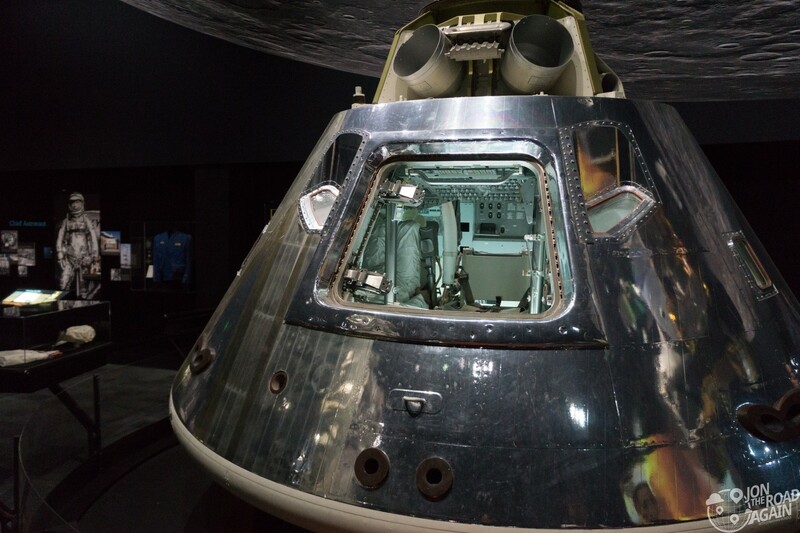 This Apollo command module was used for testing purposes. These slivers of the Wright Brothers’ Wright Flyer were taken by another Ohio native all the way to the moon. 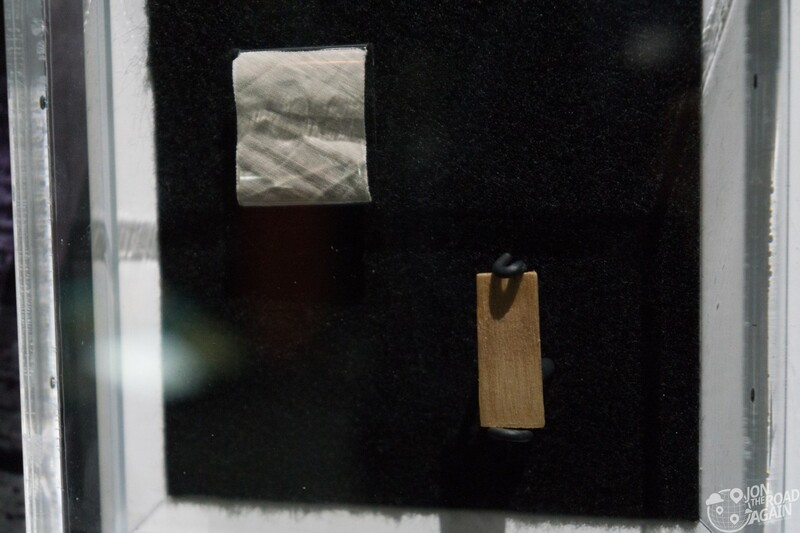 Wapakoneta, OH-native Neil Armstrong took these small artifacts of the first powered plane with him when he stepped out of the Eagle lunar module. 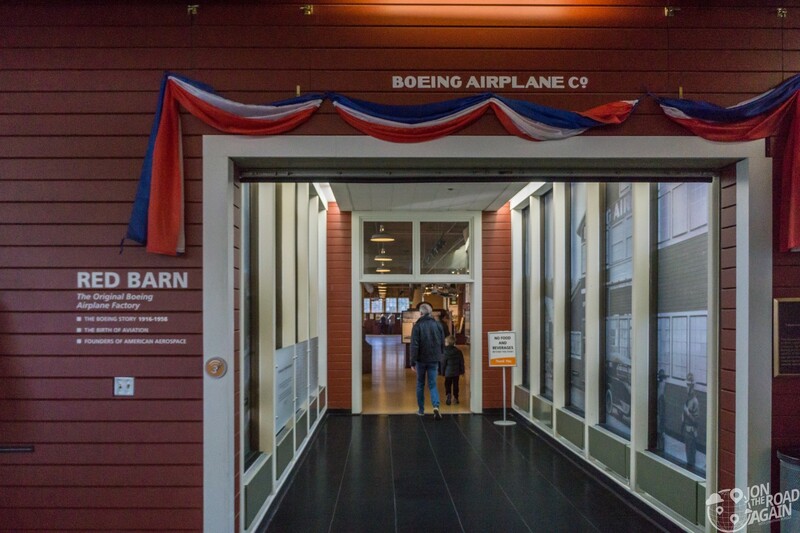 This museum and indeed this area ties closely with the history of Boeing. 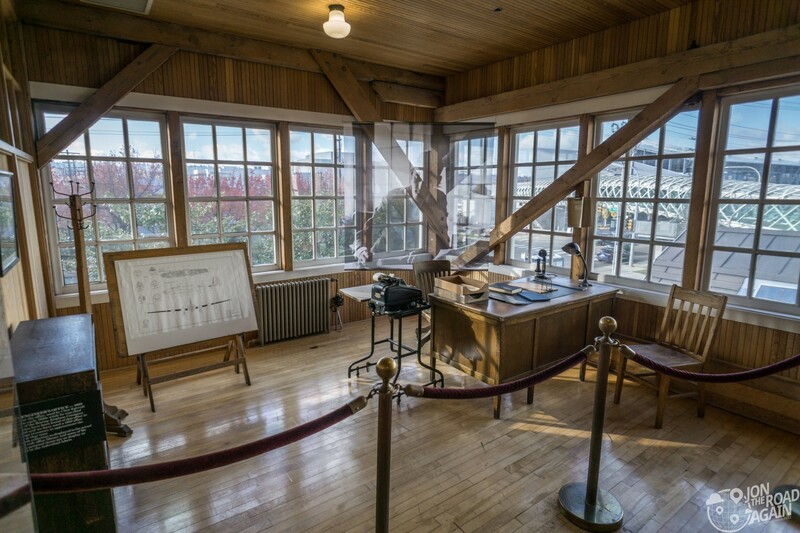 The Red Bard is part of Boeing Plant #1 which was the sprawling home of Boeing from 1917 until 1965. 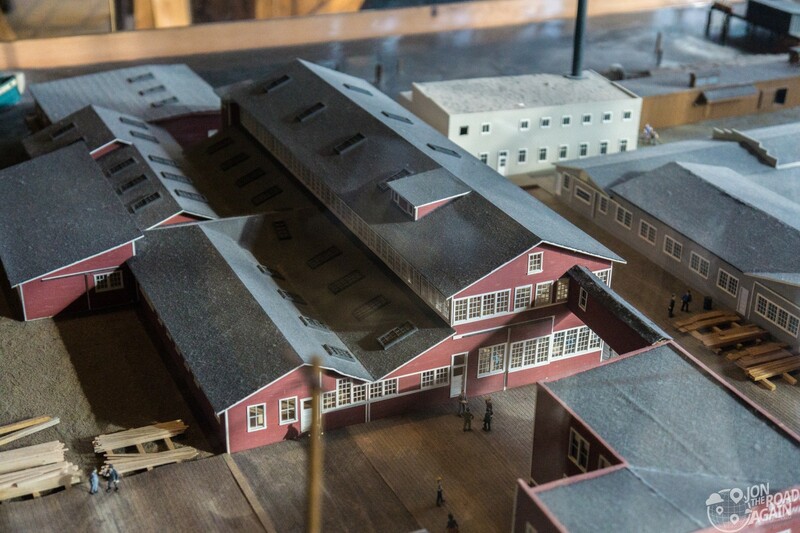 The Red Barn is on the list of National Historic Places. The barn sports the classic 1917-style red paint and white lettering (while the rest of the museum gleams in the background). 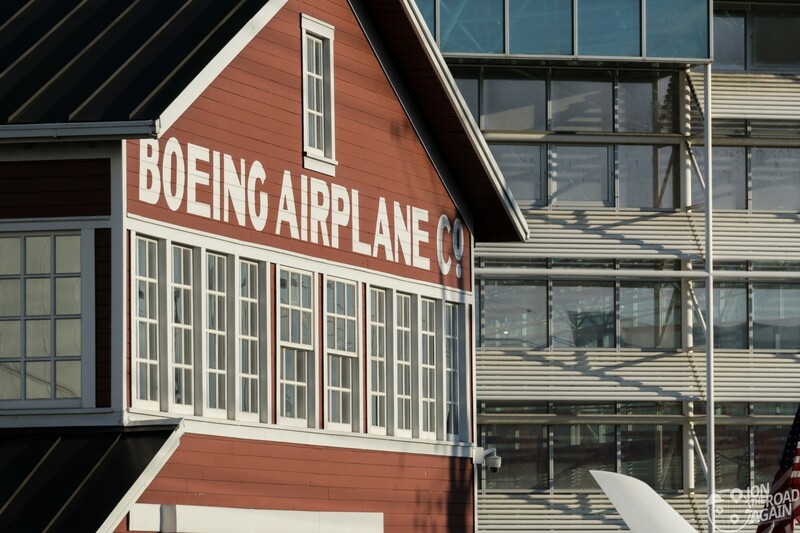 Inside you can trace the full history of the Boeing Corporation, read about the visionaries of early flight, and see how far back the State of Washington has bent over backward to placate this beloved Pacific Northwest company. There are plenty of cool items on display. 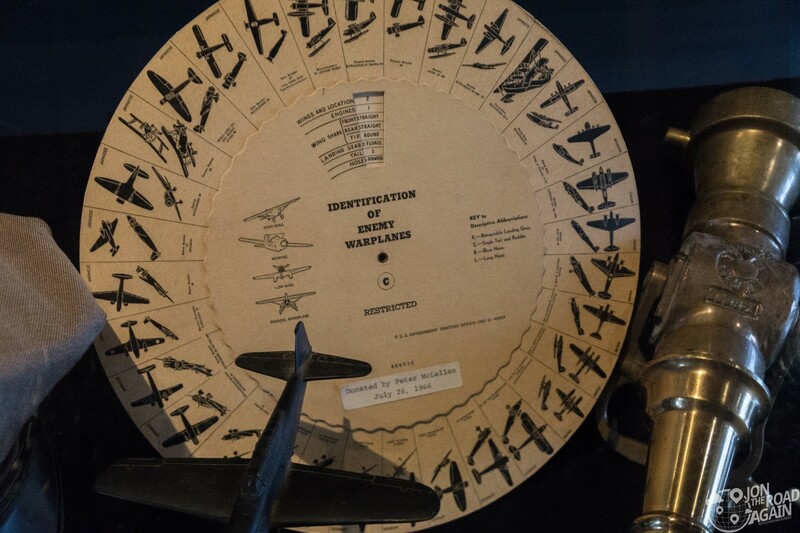 I always enjoy World War II memorabilia and this enemy warplane identification wheel is something I had never seen before. 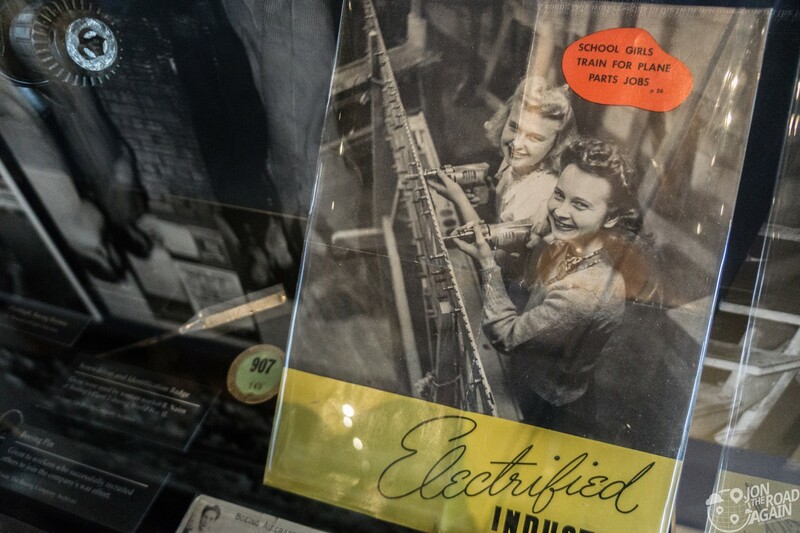 The famed Rosie the Riveter was probably a Boeing employee and the museum offers plenty of items pointing to the significance of women to the war effort. Boeing test pilot Alvin “Tex” Johnson did two barrel rolls of a Dash 80 commercial airliner during the annual Seafair weekend air show in the summer of 1955. 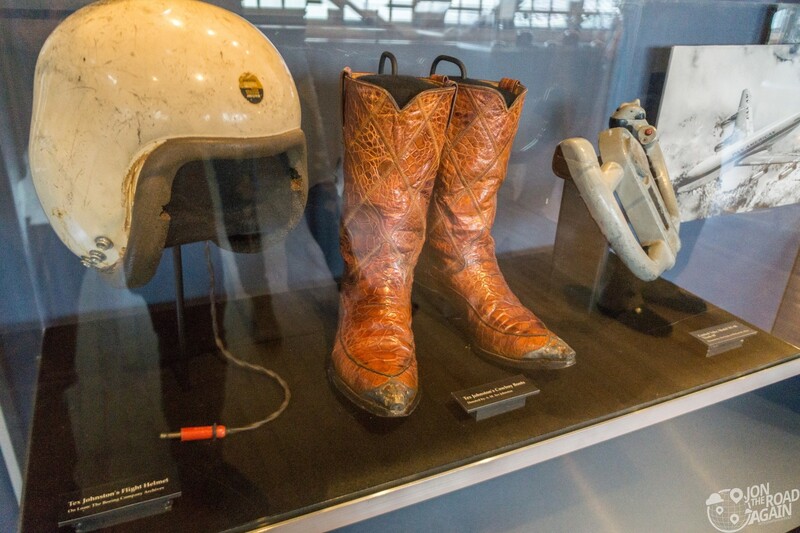 His boots and helmet are on display. 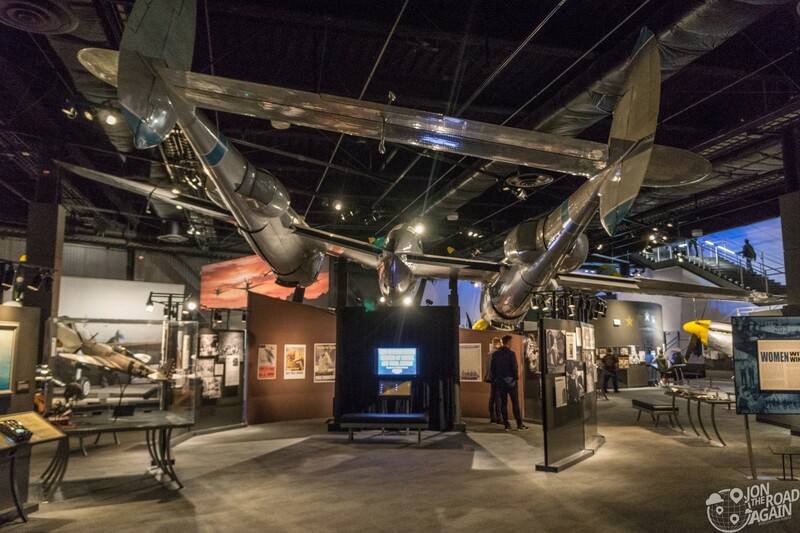 My favorite area of the museum is the Personal Courage Wing. 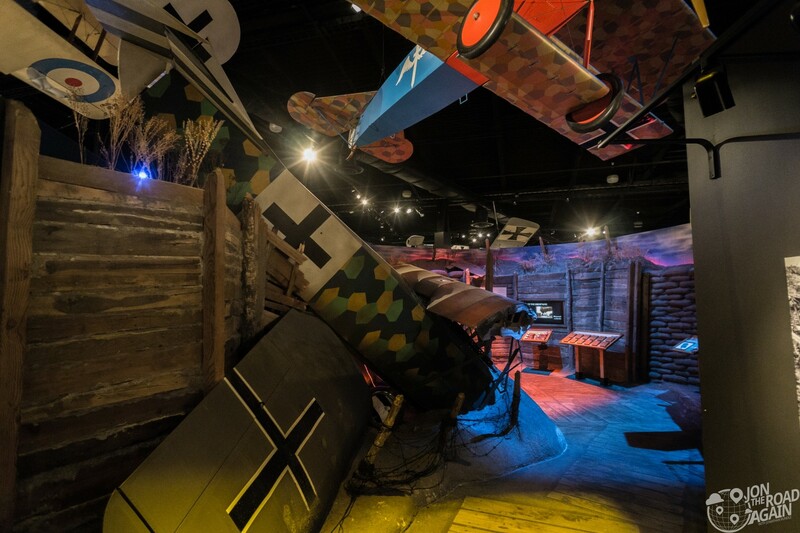 This part of the museum focuses on World War I and World War II and features an impressive amount of airplanes and some great interactive exhibits. 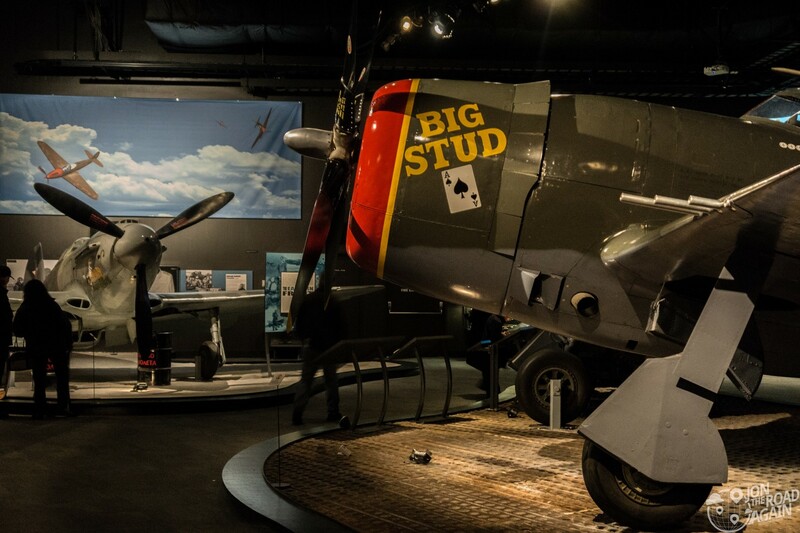 Ten major aircraft that fought in the skies over the European and Pacific theater now call this 40,000 square foot gallery home. 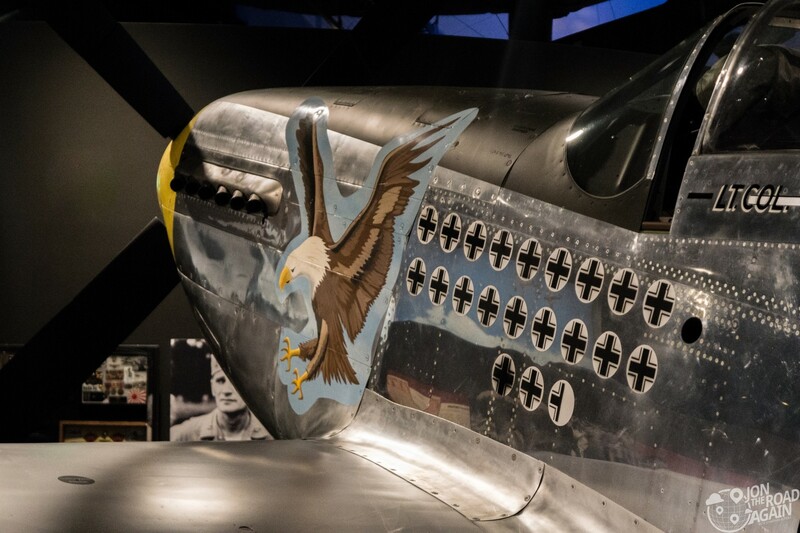 Messerschmitt, Mustang, Zero, Corsair – this area has all the planes you need to see. Smaller cases filled with awards and period artifacts line the walls. 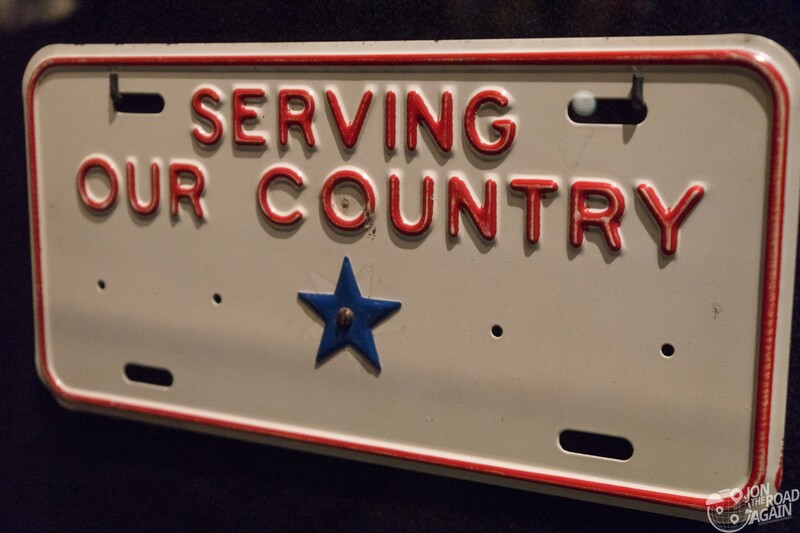 I had no idea there were license plates that Blue Star families could buy until I came upon this display. The “war to end all wars” of course did no such thing. 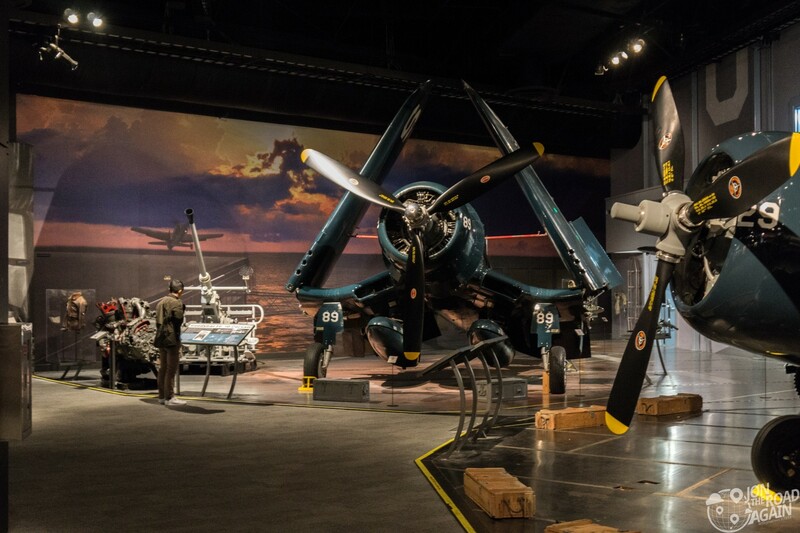 Another 40,000 square foot gallery is on the upper floor of the Personal Courage Wing. The Caproni Ca.20 was created and equipped with a forward-facing machine gun mounted above the propeller arc. Considered the world’s first fighter plane, the Ca.20’s pilot could aim the overhead .303-caliber Lewis machine gun at enemy aircraft via false sight at eye level. 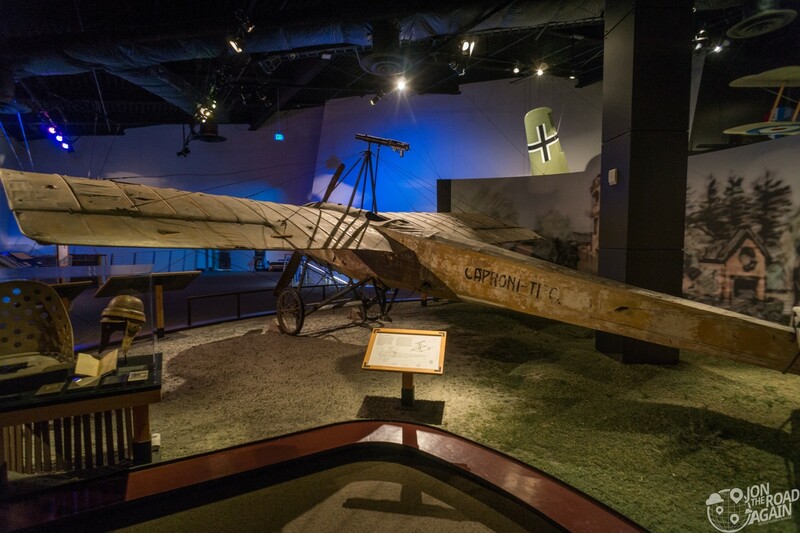 This plane was stored by the Caproni family in Italy for over 85 years. It was eventually parked, strangely enough, in a monastery. 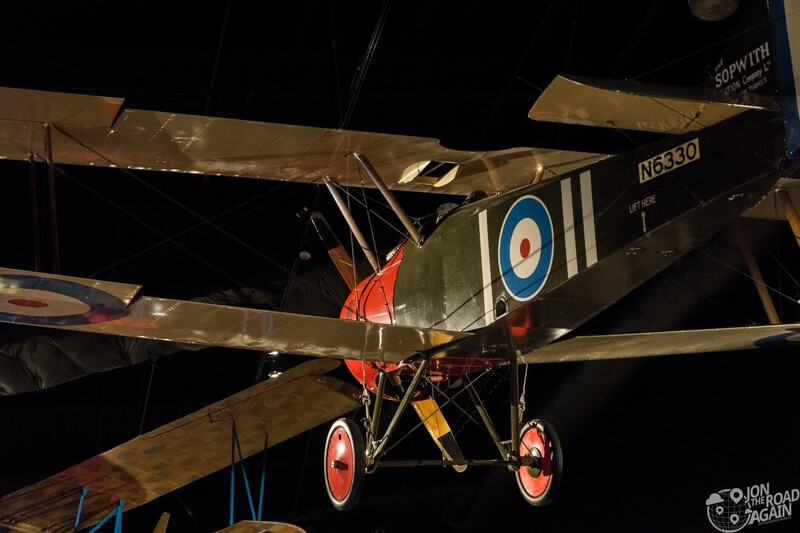 The plane was carefully dismantled piece by piece by Museum staff and then lowered through a second story window. 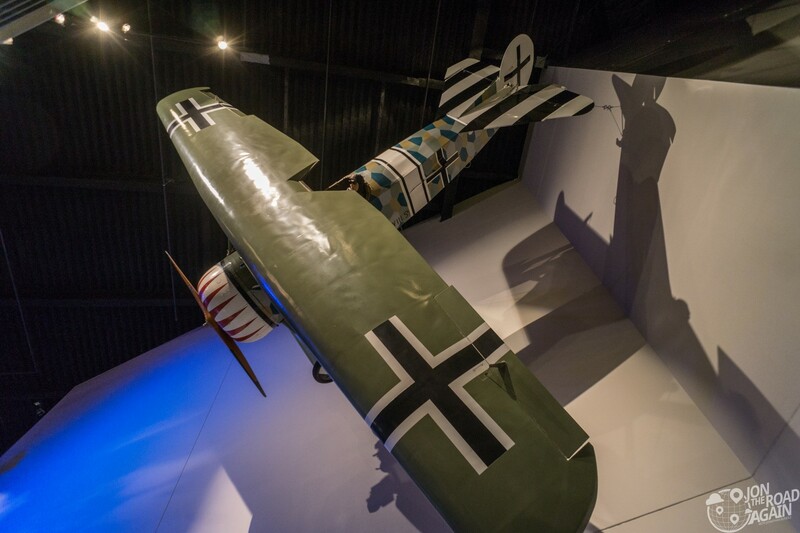 The rare aircraft was then shipped to The Museum of Flight and painstakingly reassembled and displayed as it appeared in Europe. More interesting artifacts from those days. Folk art photo frames made from propeller tips. Above your head are the makings of a serious dogfight with a Sopwith Camel being pursued by a German aviator. I have no doubt he’s upset about his comrade that was shot down into one of the trenches nearby. Walking into the trench, you can get a feel for the tough conditions. 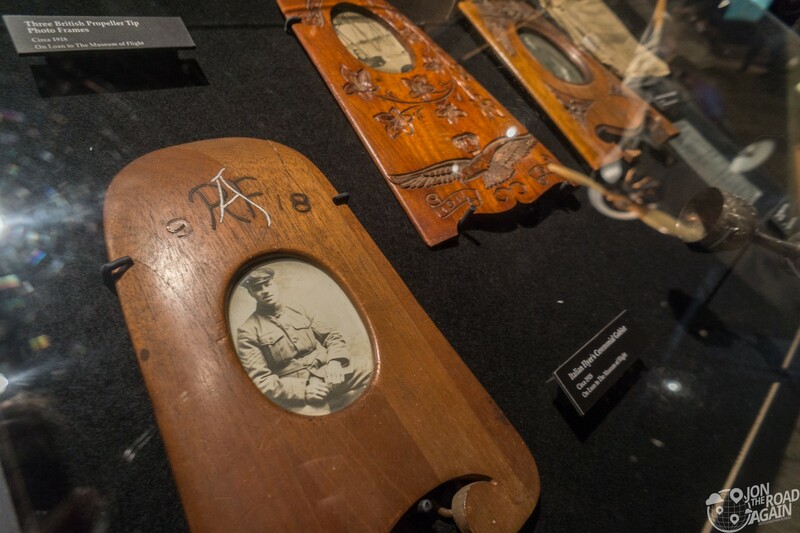 There are a number of displays that show the bleak living conditions of an infantry soldier. Blasting back to the 20th century, we’re now across the street via footbridge to see the Space Gallery, completed in 2012. 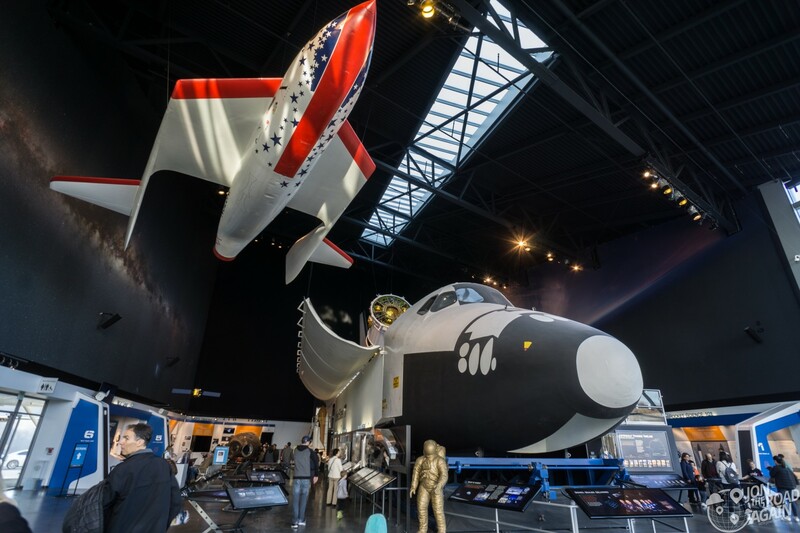 The museum was in the running to recieve one of the Space Shuttles after decommissioning, but ended up with only the trainer. 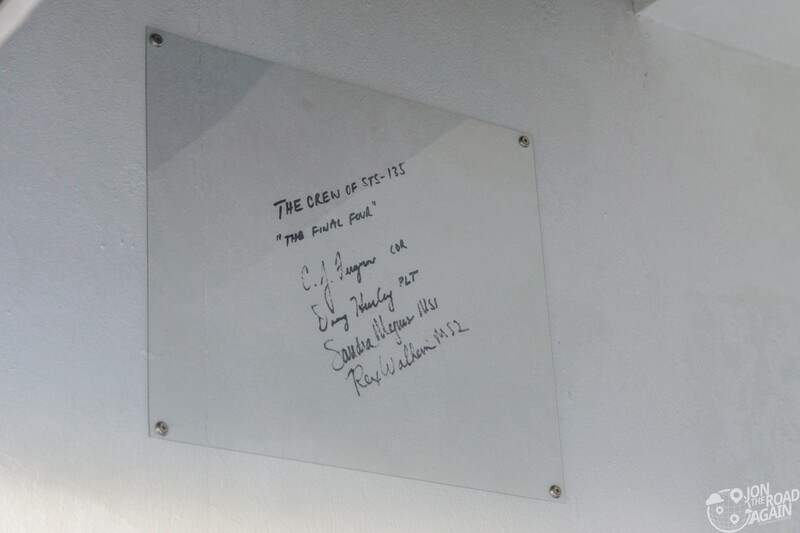 The “final four” (aka the crew of the final Space Shuttle mission) have signed the trainer in the false wheel well near the front of the trainer. 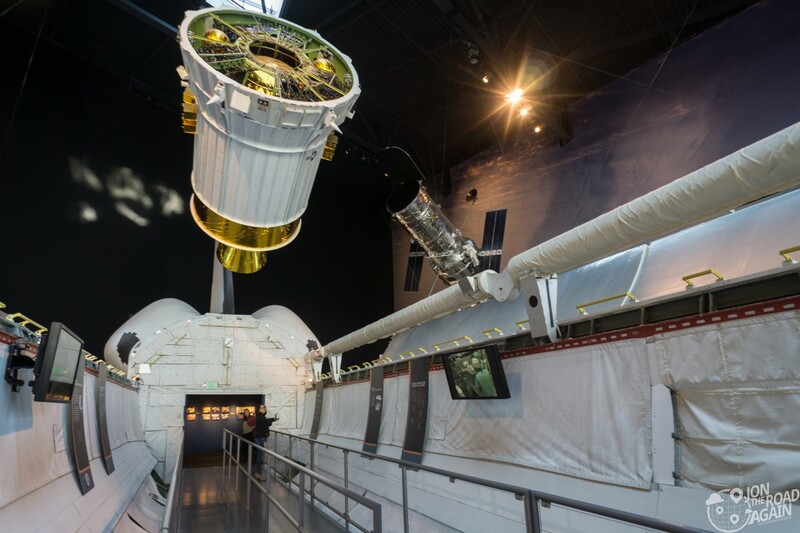 You can walk into the payload bay for free, but you’re going to have to fork over another $25 ($30 if day-of and in-person) on top of museum admission to see the crew compartment. Sorry, dear reader, but I did not pay up. At the rear of the room under the trainer is a little memorial to the astronauts of Challenger and Columbia. Be sure to walk over to check it out. 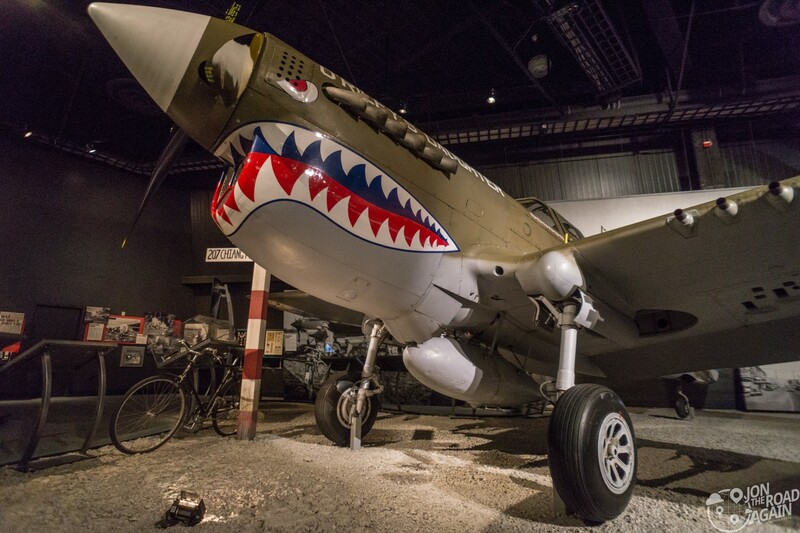 Covering 3 acres, this outdoor gallery houses 19 rare commercial and military planes. The big draws here are the Concorde, Air Force One from the Nixon administration, the first 747 (“The City of Everett”) and a 787 Dreamliner. A good panorama of the pavilion from the door of the Concorde. 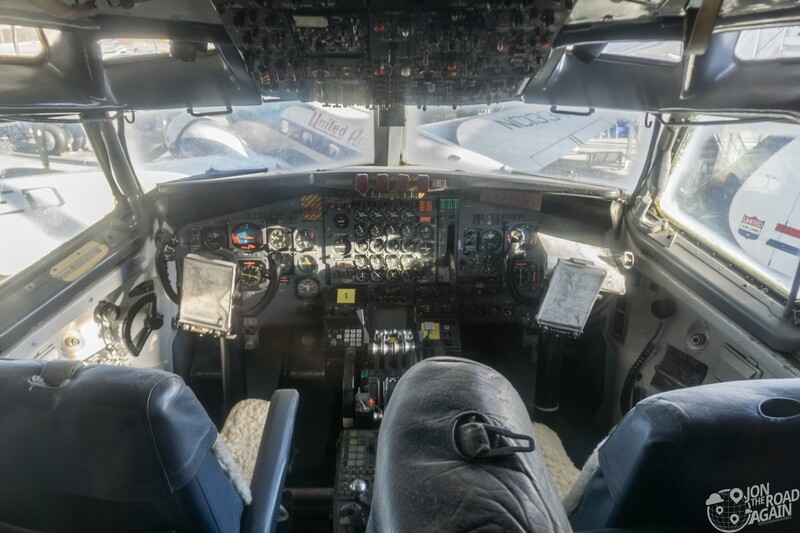 On its way to The Museum of Flight, this Concorde set a New York City-to-Seattle speed record of 3 hours, 55 minutes, and 12 seconds. Much of the flight was over northern Canada, where it flew supersonic for 1 hour, 34 minutes and 4 seconds. 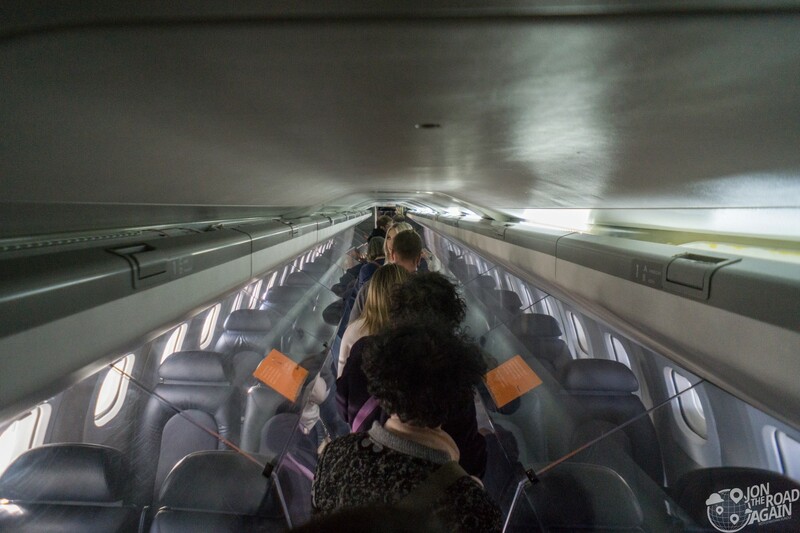 Wow, the Concorde was very tight. But when you’re going transatlantic in under three hours, I think you can deal with it. 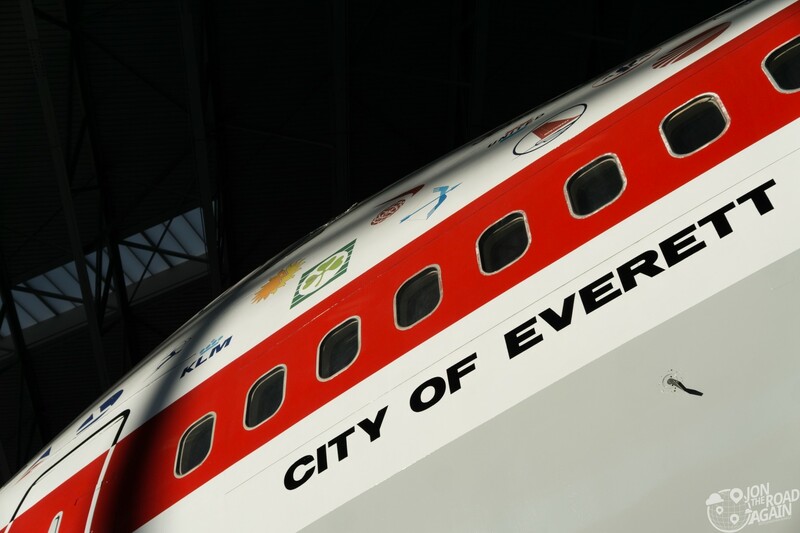 Looking up at the massive “City of Everett” which was the very first 747. 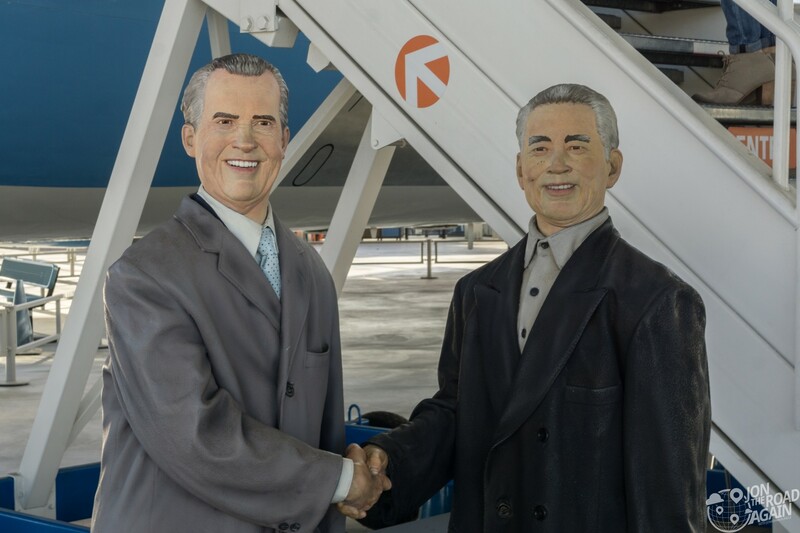 The first flight for this aircraft was February 9, 1969. I was amused to find D.B. 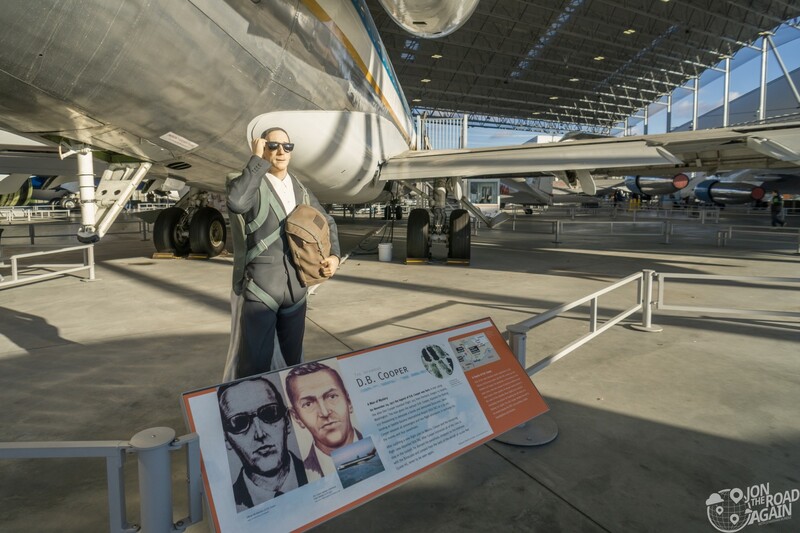 Cooper hanging out under a 727, the model of airplane he hijacked and jumped out of with $200,000 of ransom money to an unknown fate. Air Force One is another popular plane here at the pavilion. 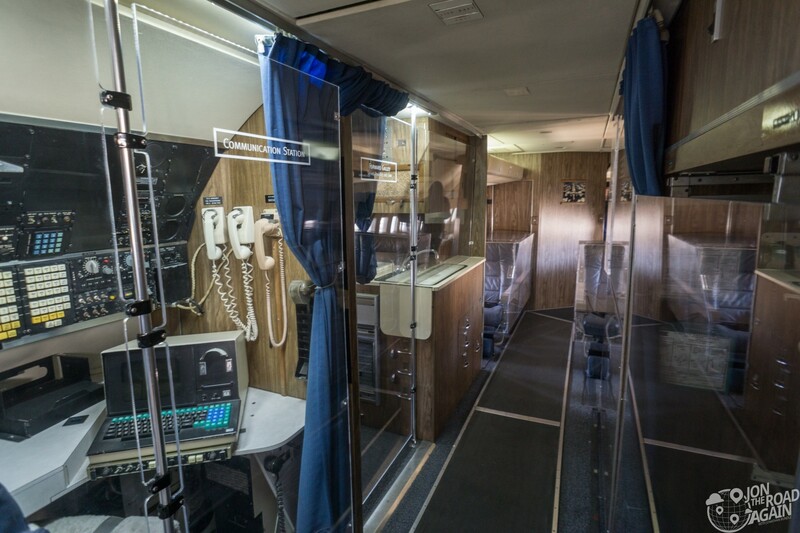 This aircraft has carried presidents Eisenhower, Kennedy, Johnson, and Nixon. 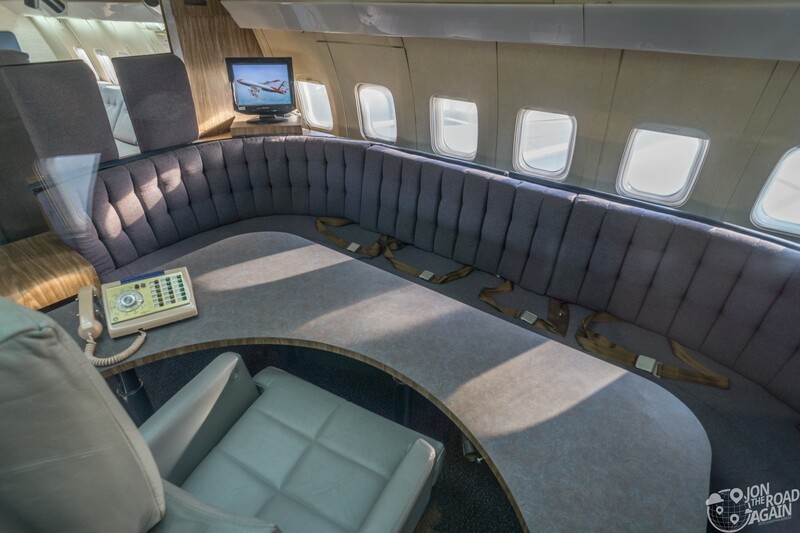 In fact, this plane took Vice President Johnson to Dallas but was not the one Johnson was sworn in on. 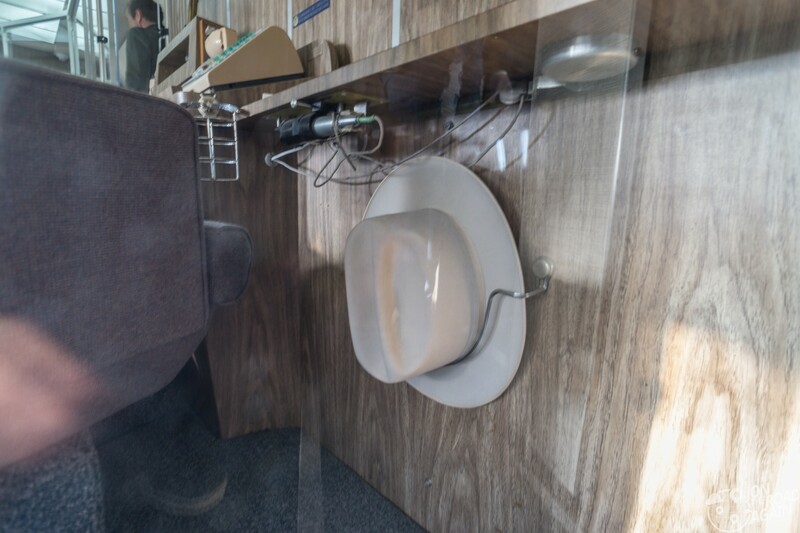 Johnson’s hat rack under his desk. 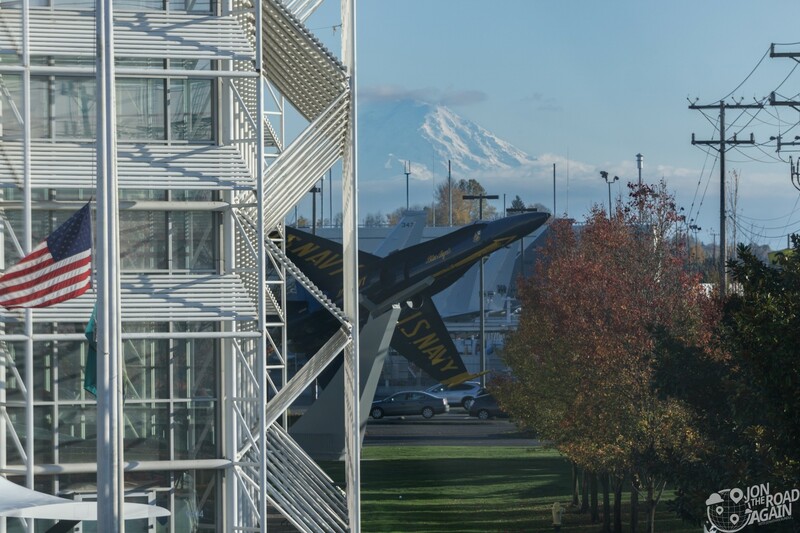 The Museum of Flight is open from 10:00 am to 5:00 pm daily (except for Thanksgiving and Christmas Day). Go on the first Thursday of the month to get free admission and extended hours (open until 9:00 pm). Adults are $24, kids and seniors get a discount. Plan ahead if you can; order tickets online and save a buck or two. 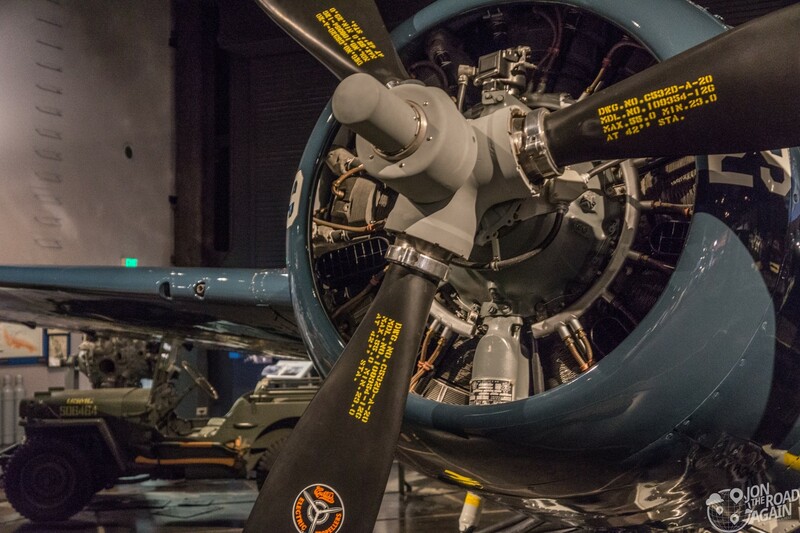 If old war planes are your thing, I highly recommend you visit Flying Heritage Collection, too. What an amazing place .I loved it .Thanks for the tour I have had the pleasure to fly with my Dad ,my husband and my son.